The best way for individuals to assist people facing disaster is to make a financial donation to one of the voluntary organizations currently working in those areas. Researching the work of organizations will help you determine where to direct your donation. Monetary donations allow voluntary organizations to respond quickly to the recovery efforts and provide direct financial assistance to disaster survivors. The New Jersey Office of Emergency Management (NJOEM) continues to monitor Hurricanes Harvey, Irma, and Maria response activities . Representatives of the American Red Cross and the Salvation Army from the state of New Jersey have been deployed to the impacted regions in order to offer support and guidance to their respective agencies involved in mass care operations. Please remember that at this time, cash donations work best to help support the impacted areas. The State of New Jersey has provided a link for people who want to help with relief efforts by making a financial donation to groups involved in the recovery efforts in the impacted regions. 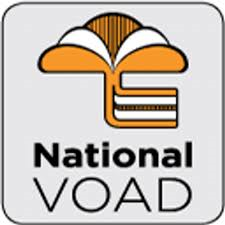 The National Voluntary Organizations Active in Disasters (NVOAD) continues to respond to disasters in the United States and around the world. Find out about the events they are currently responding to here.To learn more visit their dedicated page offering hurricane assistance by donating or volunteering. Additionally, any hurricane disaster victims from either Harvey, Irma or Maria that relocate to New Jersey should contact FEMA immediately with their current location. FEMA can be reached at 1-800-621-3362. If individuals choose to self-evacuate, they may cut themselves off from certain FEMA assistance, and there are very limited resources available to assist in NJ. Interested donors can visit www.interaction.org to obtain a list of credible responding agencies for international emergencies. InterAction is an alliance organization with over 180 non-governmental U.S.-based organizations that work around the world. These organizations are committed to working with the world's poor and vulnerable. Give.org also offers valuable, unbiased information on making informed decisions when supporting charities. In addition, donors can visit www.globalgiving.org. The American Red Cross Online Disaster Newsroom is a good resource for current information on the organization's activities. The United Way and its partners work to rebuild lives and communities struck by disasters. Charity Navigator, an independent organization that evaluates charitable efforts and works to advance a more efficient and responsive philanthropic marketplace by evaluating the financial health of over 5,500 of America's largest charities, offers advice on how your money will best be spent and evaluates emergency response efforts. 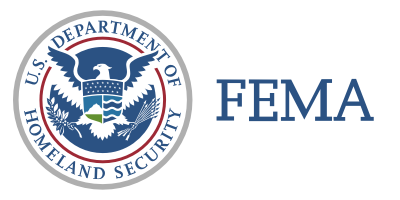 From FEMA - For those interested in learning more about how best to donate or provide assistance in response to national disasters, click here. To verify the legitimacy of any organization you can check Charitable Registration Section of the NJ Attorney General's website, or call 973-504-6215. Because the website is only updated monthly, any new charity set up for a unique emergency relief and recovery effort may not be posted yet. With this in mind, it is probably best to call for the most current listing. The FBI released recommendations on how consumers can protect themselves against fraudulent relief appeals. Internet users who receive appeals to donate money are urged to apply a critical eye and do their due diligence before responding to those requests. Past tragedies and natural disasters have prompted individuals with criminal intent to solicit contributions purportedly for a charitable organization and/or a good cause. Read the most recent FBI recommended guidelines here. You can find more information on spotting and avoid common scams, fraud, and schemes here.